We would like to thank the following people and organizations for their support and generosity: Ardmore Inc., Akron Antiquarian Books, Norton Knights of Columbus, EGW Associates Inc., Northcoast Theatrical, Firestone Cleaners, Mary Austin, Elsie Hammoud, Margo Snider, and the entire Euell Family! 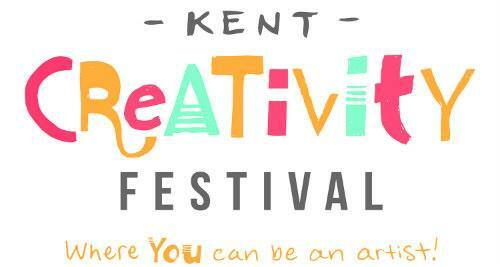 Theatre on the Spectrum Adult Company to perform at the Kent Creativity Festival! On Saturday, September 30th our Adult Company will be hosting an Improv for All event as part of KSU's Creativity Festival. This outdoor event is free to the public and goes from 11 - 5 pm on the Esplanade between Rockwell Hall and downtown Kent. 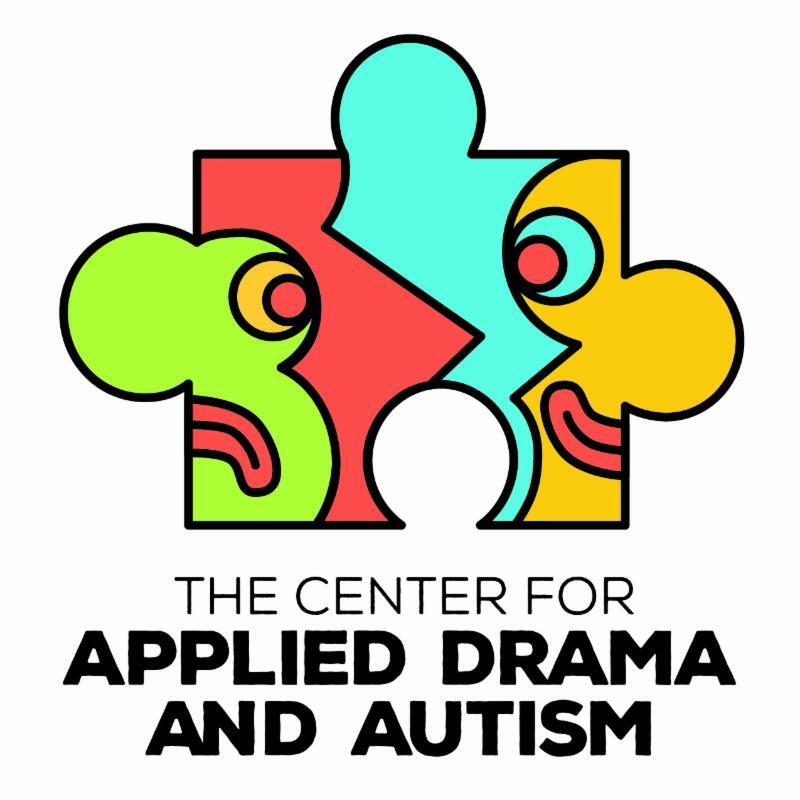 Look for our splashy new Theatre on the Spectrum canopy tent. Our troupe of actors will be asking the audience for suggestions and also we will do our best to get volunteers up on the stage with us! Are you ready to improv? We continue with our third monthly Improv Nite on September 23 from 7 - 9 pm. Join us for two hours of short form improv, featuring favorite improv games to challenge your creative juices and bring forth lots of laughs! 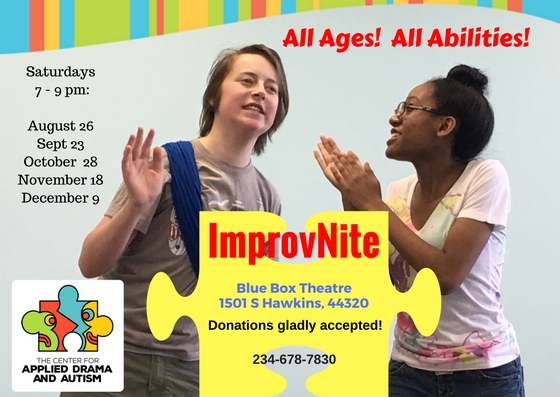 Improv Nite is family-friendly for all ages and abilities! Bring a friend and join in the fun! 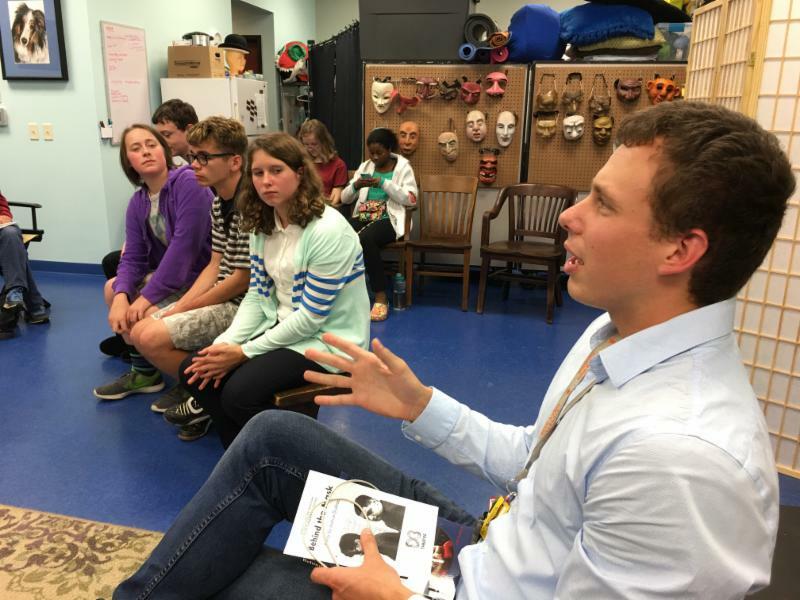 Our Behind the Mask audiences were treated to a feed-back session with the playwright after each performance by our Theatre on the Spectrum Youth Company. We hope Josh was as delighted as we were with the audience responses to his first play! We learned how he came to write the play and why he chose to look more closely at what motivates bullying. Unfortunately, bullying is an issue that must be confronted repeatedly. We can all help by being ever vigilant in sticking up for those who are bullied and also by seeing that bullies get the counseling that they need in order to prevent the impulse from continuing. Read more about Joshua Dushack here. Brandon has been a volunteer teaching assistant at CADA since our Balch Street days. He now steps up into a paid support role, assisting Ruben Ryan in the Improv for All class. 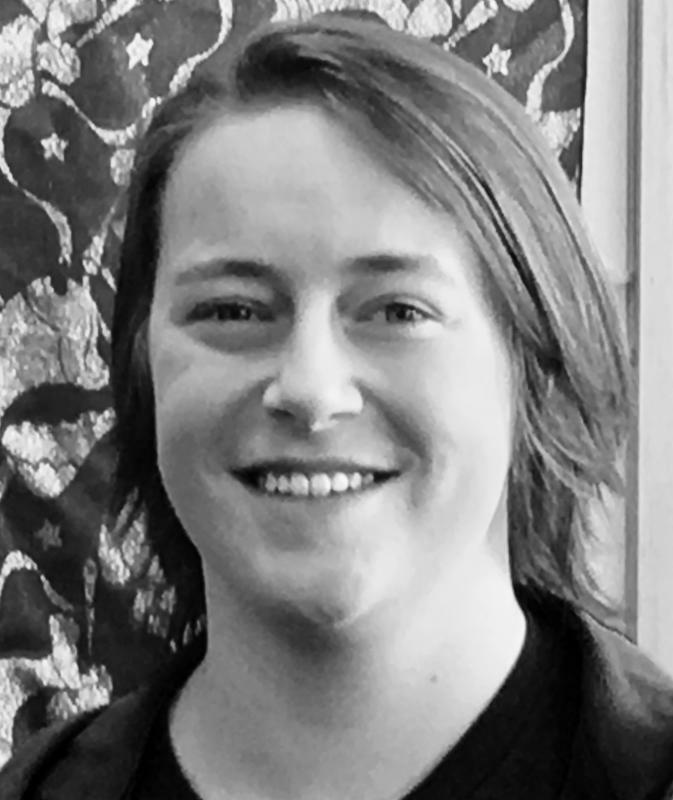 Brandon has a passion for theatre and political science and is a junior at Firestone Community Learning Center. Thanks for all your hard work, Brandon!